On September 6th, Hurricane Irma tore through the U.S. Virgin Islands, causing catastrophic destruction and killing more than 33 people across the Caribbean. The Category 5 storm brought 185 mph winds that caused untold damage and devastation to once idyllic St. John and St. Thomas. Just two weeks later, another Category 5 storm, Hurricane Maria, hit the Caribbean and caused more destruction, especially on St. Croix. To help those affected by the hurricane, the Community Foundation of the Virgin Islands (CFVI) has established the Fund for the Virgin Islands. 100% of your donation will benefit those in crisis. CFVI is a 501(c)3 nonprofit organization that has been operating in the USVI for more than 25 years. It has supported past relief efforts in the region and is working closely with government and community providers to identify priorities and direct resources for immediate needs as well as long-term recovery efforts. For more information, visit cfvi.net or contact katrinb@cfvi.net or 340-774-6031 with questions. Donations are tax deductible to the fullest extent provided by law. September 14, 2017. Video courtesy of The Virgin Islands Consortium. Please help St. John and St. Thomas recover. You can help rebuild the U.S. Virgin Islands. Inform USVI, VI Now, and The US Virgin Islands Department of Tourism provide the latest, most up-to-date information. The U.S. Small Business Administration (SBA) provides low-interest disaster loans to help small businesses and homeowners recover from declared disasters. 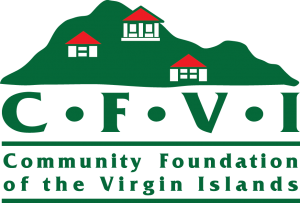 Learn more about the Community Foundation of the Virgin Islands (CFVI). The Community Foundation of the Virgin Islands serves both donors and nonprofit organizations of the U.S. Virgin Islands that want to ensure the highest quality of life for present and future generations. Create an ongoing legacy of giving by establishing a fund. CFVI’s primary goal is to build a collection of permanent funds, which will be used to enhance the educational, physical, social, cultural and environmental well-being of the children, youth and families of the Virgin Islands. Contact the CFVI for more information on programs and to learn how you can help.